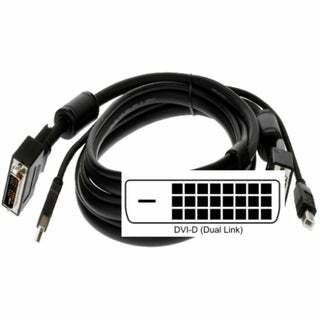 Aten - LIN5-26W1-W11G 6' DVI-D Dual Link Male to Male KVM Cable is compatible with CS1782A CS1784A CS1642A CS1644A Switches. 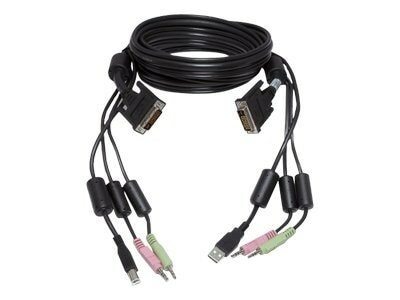 ASOUND - DVID4N1USB6 DVID4N1USB6 Startech 4-IN-1 USB Dual Link DVI-D KVM Switch Cable With Audio & Microphone 6FT. New Retail Factory Sealed With Full Manufacturer Warranty.